I’m singing in the cold, just singing in the cold! 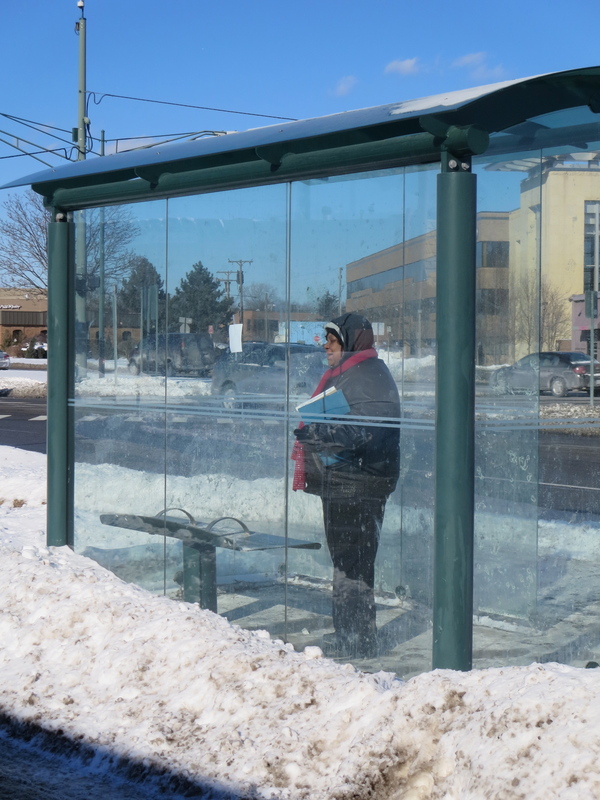 Bridget is the woman who was waiting for the bus when I put Shakespeare’s poem “Blow, Blow, Thou Winter Wind” in the bus shelter. I asked her how she was bearing up in the cold, and she said, “It’s fine! I’m just waiting and singing,” she said. Now, don’t be deceived by the sunshine in the picture. This was a bitterly cold day. The sub-zero temperatures had closed schools, kept plumbers busy and most people indoors. The inside of the bus shelter was protected from the wind, but it was still no summer picnic. And there was Bridget singing. Singing! She told me she was singing church songs. “Hallelujah, My God,” I think she said. I felt a little ridiculous, my poem-elfing a fool’s errand. 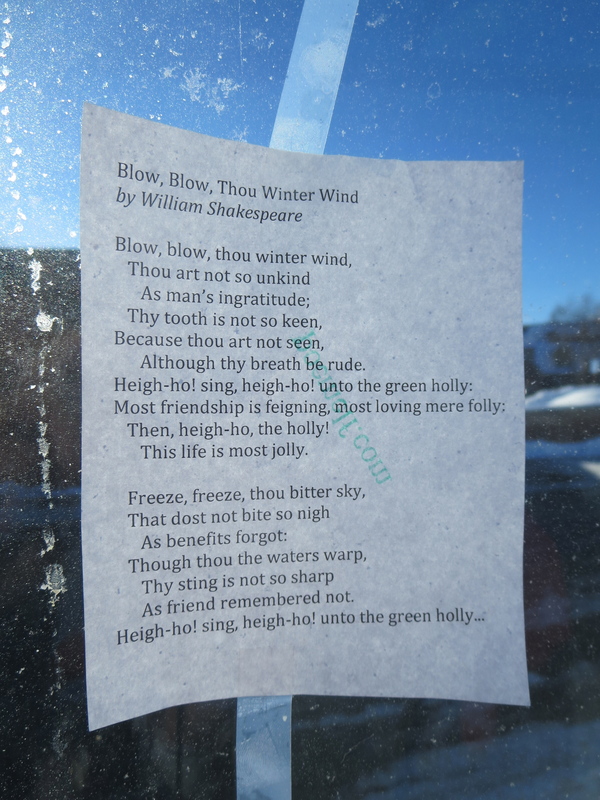 Anyone singing praise to God on the coldest day of the year didn’t need Shakespeare to tell her winter’s not so bad. So it’s all of a piece. The sting of bad weather hurts less than the sting of a bad friend; the sting of a bad friend is offset by the kindness of good ones. And this is Michigan, so if you don’t like the weather, as the old joke goes, wait a few minutes.